Seeking a mastering studio in Nashville? Nashville Trax is now offering it’s stellar mastering services to all comers, regardless of where your project was recorded or mixed. Looking for a female country singer online for your demo? She’s fabulous for rock, blues or country. Performance Tracks of Hit Songs & Originals Now Available! The band Hoffman performing a show in Hendersonville TN. They’re paid hundreds, sometimes thousands, of dollars in base pay, plus earn even more in tips at each performance! Do you perform with a band? As a trio? A duo? A single? A quick search of Gigmasters proves that many singles and duos earn $400 to over $2,000 per performance! Why not you? Sound like a full band without the hassle or expense! Perhaps you perform now? Have you ever tried making your sound bigger and richer by performing with pre-recorded tracks? It’s EASY! you’ll hear four count off clicks and the song begins. You play along on whatever instrument(s) you wish. That instrument will be removed from the mix but the rest of the instruments will be there! Your single act or duo can sound like a full band! Your four piece band can now have professional keyboards! If you already use karaoke tracks you know most of the parts sound cheesy. Low quality programmed drums are usually the foundation and often, guitar parts are lame because they’re played on keyboards! All outputted to lossy, low quality mp3 files. Not with Nashville Trax, we use ONLY real, pro musicians, ONLY session quality players and we can give you high quality file formats! How to Earn Income from your Songs on YouTube! Gary Nowak operates a business on YouTube using our productions of his original songs. His latest A Miracle At Work is just getting started. The first, titled Gasoline featuring actor Christopher Rigali is closing in on a half million views! Chris is an awesome actor and has superb lip syncing skills. It really looks like he sang it! YouTube compensates songwriters several ways and you don’t have to be on a major label, any independent songwriter can create a song video and post their song on You Tube. 1) Independent songwriters are paid for advertising revenue clicks on their video post. 2) Your music is made available for licensing to professional and consumer content uploaders. You get paid each time your music is played as featured or background music in someone else’s video. 3) You get royalties for original song material video plays. Besides continually pitching the majority of our catalog (of client song demos and masters) to our major label and top independent label contacts, if you’re not computer savvy, we can create a video of your song for you, then post it on YouTube. We can also place your songs on Amazon.com through Amazon.com’s Advantage program; on CD Baby and their associated AllMedia and MicroSync programs, on TuneCore etc. to make your music available not only on YouTube, but also through licensing channels for TV, film, video games, and more. We can place your single demo on Kickstarter and request funding for a master recording or a full blown CD, video and promotion. Of course there are more traditional ways to profit. Your songs could be picked up by a producer looking for songs for an artist, they could be featured in an indie film or placed on a network TV show. Like the idea of making a pro version of your tune and posting on You Tube to see if you can pull in some bucks? Want us to produce a song for you? Send your rough MP3 to nashtrax@bellsouth.net and request a quote today! Both bound and spiral bound (lays flat for lessons) editions are available. 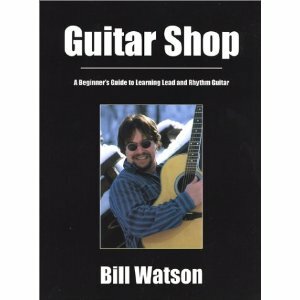 Multiple copies are discounted starting at 5 copies for libraries, private instruction by guitar teachers or schools through Ingram or Baker & Taylor using the ISBN #. Libraries should order through: Baker & Taylor or Midwest Library Service using the ISBN #. Are you a songwriter in need of a place to take your song or songs and turn them into a demo recording or master for release on a CD or download? Nashville recording studio Nashville Trax can! We actually opened under this name in 2007. Are you a singer in need of a studio to cut a demo showcasing your voice? Nashville recording studio Nashville Trax can! Do you need high quality session musicians to play on your project? Nashville recording studio Nashville Trax can provide! Do you have a home studio and need Nashville Trax to interface with your efforts, letting you handle the steps you can do and paying us for the steps you can’t such as tracking the drums, bass, guitar, piano rhythm section? Provide vocals? Or do the pro mixing for you? Nashville recording studio Nashville Trax can interface!